It’s an exciting, albeit challenging time for marketers—new channels, strategies, and technologies have empowered us to engage our buyers like never before. At the same time, due to the abundance of available information, buyer expectations have increased, leaving marketers to fight for their attention as we showcase our products and services. In response, organizations are implementing an account-based marketing (ABM) strategy. 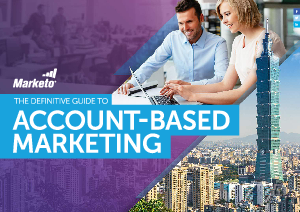 Account-based marketing offers organizations a significant return on investment (ROI) as they are faced with the need to acquire, retain, and grow high-value accounts. This comprehensive, 100+ page guide includes checklists, worksheets, examples, and advice from over 12 industry thought leaders to help marketers at any level, from beginners to experts, create and implement an effective account-based marketing strategy.